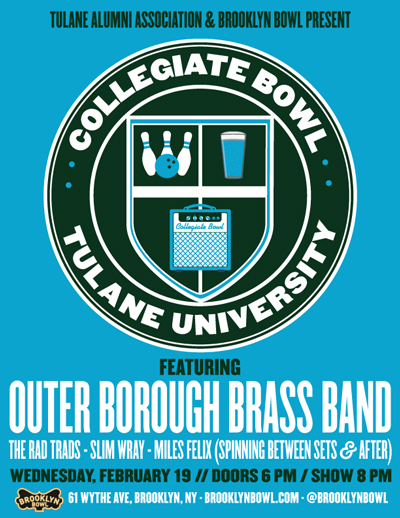 Outer Borough Brass Band - Collegiate Bowl: Tulane University feat. Outer Borough Brass Band @ Brooklyn Bowl! Collegiate Bowl: Tulane University feat. Outer Borough Brass Band @ Brooklyn Bowl!